Driven by a heated passion. Haunted by an exotic and misty recurring nightmare. Obsessed with a beauty he can paint but not possess, a psychotic artist twists his inspiration into a deranged killing spree. At a country lake, the artist goes insane when his beautiful model will not keep still. In a maddened frenzy, he kills her with his spear gun. The murderous spree has begun. At a nearby mansion, the artist is hired as a handyman. But as his madness drives him further and further into his own nightmarish world, he lashes out again . . . and again . . . and again, creating a grotesque museum of victims in the walk-in freezer. But as the murderer prepares to kill his final victim a power failure occurs. His ghastly vision shatters into an even more terrifying reality. Playgirl Killer . . . paint it red for passion, red for rage, and red for his beautiful but bloodied victims. 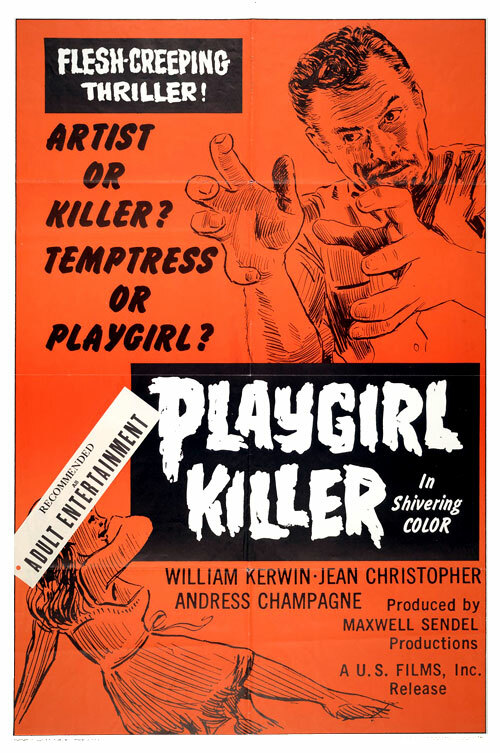 0 Response to "Playgirl Killer (1967) Erick Santamaria"